Here is a city I am very fascinated with and very excited to tell you about as well. One of the things I find most interesting about this city is that it was named for a Native American Chief named Noah Seattle. Another very interesting thing about Seattle is the Klondike Gold Rush which saw an end to the great depression which begun in 1893. How I wish to be there in 1897 when the SS Portland brought the ship of gold to the dock of Seattle making the city one of the major transportation centers in the US. 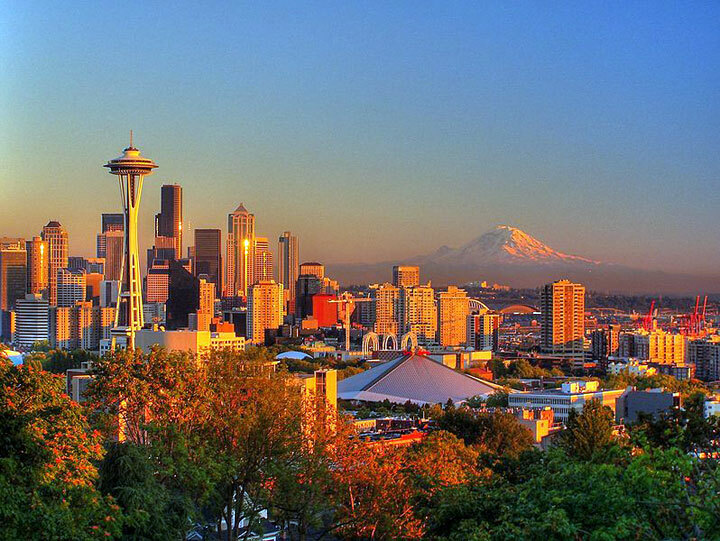 I recommend Seattle because it not only beautiful but holds rich American history and was once one of the more prosperous cities in the United especially after World War 1. Did you know that Seattle held the biggest world fair (Century 21 Exposition) the world has ever seen between April 21, 1962 and October 21, 1962 with over ten million people in attendance? They are also known as the most literate city in the entire United States! One of the reasons I love Seattle is because the Space Needle is located there and is one of, if not, the most famous attraction in the city. Standing at 605 feet tall, this needle has a gift shop, rotating restaurant and an observation deck. The only other places I can think of in the US with similar structure are the Statue of liberty (305 ft.) and the Empire State building (1453 ft.). I find it really funny that people will crack jokes about the weather with the song lyrics “It’s always raining in Seattle”, however it’s not so. 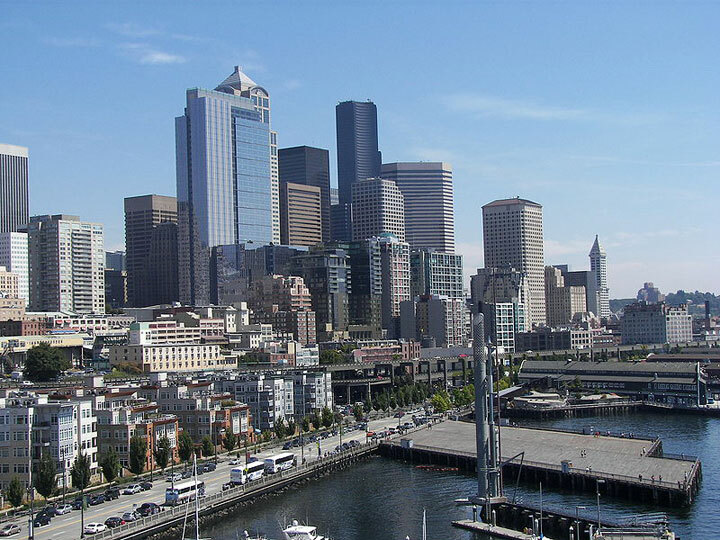 Seattle sees less annual rainfall than New York, Houston and Chicago. You have to check out their Pacific Northwest Ballet which is the most attended ballet in the entire country. I am not a big fan of highly populated areas and one of the reasons I like Seattle so much is because New York is more densely populated. Whereas living conditions in New York is primarily apartments, flats and condo with the exception of the elite suburbs, Seattle has more of a family home setting with yard space and areas for children to play. I come from a country where yard space and huge playgrounds are the norm so I feel right at home in Seattle plus the crime rate is much lower than in New York or Los Angeles. As far as dining is concerned, if you like the simpler life where things are less glamorous and ritzy, Seattle is for you. Dining is exquisite and you don’t necessarily need a reservation to walk into the best restaurants. I also found that Seattle has a lower cost of living than New York and definitely Los Angeles. This allows me to stretch the budget to enjoy more of what I like. Also on the plus side is that fact that they produce almost everything they eat. There are many reasons I prefer Seattle to New York or LA. Some of these reasons include the fact that it’s less polluted; I can attend its very prominent 24-day International Film Festival; it is the most tolerant city in the US being home of the Gay Pride movement; one of the main summer events held in the city is the annual Seafair Cup hydroplane races; I love the Bumbershoot Music Festival. If you like museums as much as I do Seattle has many to choose from such as The Henry Art Gallery, The Seattle Art Museum, Frye Art Museum, Museum of History and Industry and many more galleries. Besides the museums are several public parks which are opened to visitors with beautiful attractions: Olympic Sculpture Park; Klondike Gold Rush National Historical Park; Woodland Park Zoo; The Seattle Aquarium among several others. For more information about Seattle you may visit the Seattle Government website or Nile Guide. You can also get information from your travel adviser on where to dine and and places to see. Author bio: Jane Hudson is a passionate traveler and English teacher. She loves Spain and went to many places from Madrid, Torresmolinos and Ceuta.